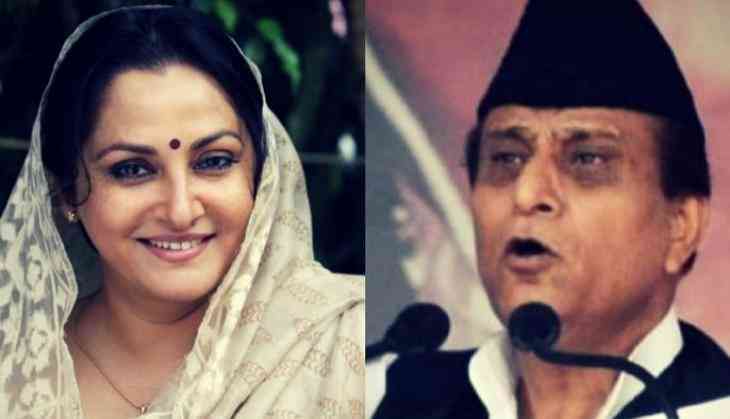 The rift between actor-turned-politician Jaya Prada and Samajwadi Party leader Azam Khan has taken an ugly turn. While speaking in a rally in Uttar Pradesh's Rampur, in the presence of party chief Akhilesh Yadav, Khan made a derogatory remark against Jaya Prada, a former party colleague-turned BJP rival. "Many allegations were made against me by the current BJP candidate. I had to swear by my dead mother that they are false. I am not a coward. If I said it, I would have accepted it in front of you. I want to ask you, should one stoop so low in politics? This person who has sucked the blood of Rampur for 10 years -- I had led that person to Rampur by the finger. I familiarised the person with the streets of Rampur. I didn't let anyone touch the person or even use filthy language. You made the person your representative for 10 years. But the difference between us, O people of Rampur, O people of Shahbad, O people of India, is that you took 17 years to recognise the person, and I realised in just 17 days that the underwear the person wears is khaki," the Samajwadi Party leader said. Notably, Khaki is recognized as the colour of Rashtriya Swayamsevak Sangh’s (RSS) short pant. Tearing Samajwadi Party leader over his ‘Khaki underwear’ remark, BJP spokesperson Chandra Mohan condemned it and called it disgusting and embarrassing. “The level of politics cannot fall any further. This is the real face of Azam Khan and his so-called socialist party, wherein women are put down in this manner. But Bahujan Samaj Party chief Mayawati should also comment on such disgusting comments being made against Jaya Prada," he said. Khan has been attacking Jaya Prada since she has quit SP and joined BJP on March 26. Prada has won twice from Rampur Constituency on Samajwadi Party ticket in the 2004 and 2009 but was shunted out in 2010 over allegations of anti-party activities.